Real Estate in the Treasure Valley hot! This region is also fortunate to have a number of world class residential builders; that means there are plenty of brand new homes to consider when looking for your perfect place. 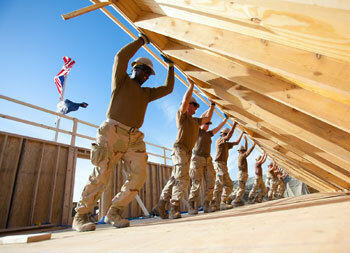 A newly constructed home is a great option for first time buyers, or for anyone just looking to start fresh. Boise real estate is many things, but one dimensional and boring it is not! Boise mayor, David Bieter describes his job as "working to be the most livable city in the country" and although this may sound like a tall order, Boise delivers big time as evidenced by its continual appearance on leading national magazine's "Top Ten" cities to live, raise a family, start a business, retire, etc. Nestled in northwest Ada County, Eagle is located in a picturesque country setting with less than 21,000 residents and is a quick commute on State Street to Boise proper. This convenience allows you to have all the arts and culture of the city without any of the distractions. A luxuriant assortment of goods, services and homes makes Eagle, Idaho one of Treasure Valley's premier communities and a wonderful choice for your new home. 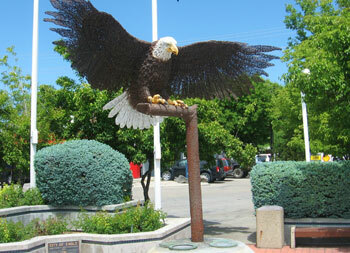 Meridian is another one of Idaho's fastest growing communities, but still has a hometown feel. 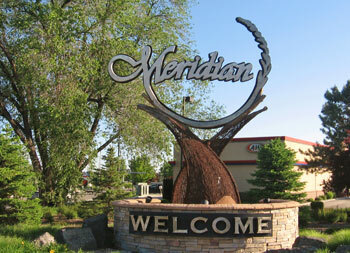 Located in the heart of the Treasure Valley, Meridian was "built for business and designed for living." The Meridian business environment continues to flourish as people relocate and retire to the area. Young families are attracted to the largest school district in the state which provides newer schools offering state of the art educational opportunities within a family oriented environment. 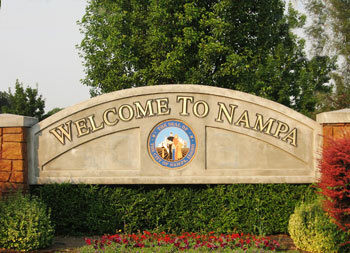 As the largest and fastest growing city in Canyon County, Nampa could easily become your new home town. The historic main street and business districts have not lost their hometown charm, even with the rapid growth that has made Nampa the retail and restaurant hub of the western Boise Valley and the third largest city in the state. Nampa historic preservation projects have brought the downtown core back to life and reclaimed the charm of a downtown shopping and dining experience of a more relaxed past. 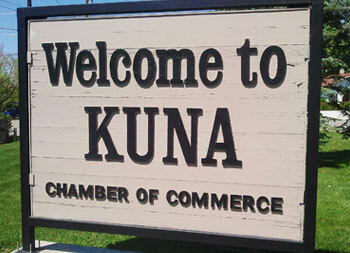 Located just 17 miles west of Boise , 10 miles south of Meridian and 7 miles east of Nampa, Kuna is the smallest town in Ada County but it is growing quickly. 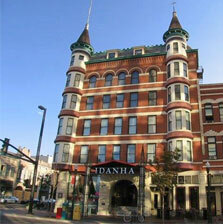 Celebrating its 150th anniversary, Kuna's rich history and country hometown feel might make this your future home. Kuna a bedroom community within Ada County as evidenced by the facts that it ranks number two in Idaho for resident homeownership and new construction homes sales represents half of total homes sold . Why Choose The Treasure Valley? So you're thinking about buying one of the many great homes for sale in Boise, Idaho, congratulations on a wise lifestyle and investment choice, you are in for a genuine treat! 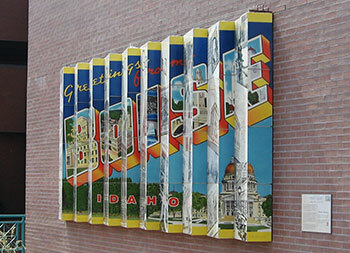 Boise is a four-seasons metropolitan area with great surrounding communities you can easily call home. If you like to ski, fish or hunt, Boise abounds with too many opportunities to list! The Velma V. Morrison Center for the Performing Arts is but one venue to experience symphony concerts, dance and Broadway musicals. The Boise Greenbelt and pathway system offers those that like to bike/run/hike 25 miles of outdoor adventures under Southwest Idaho's sunny skies. The bottom line is, Boise real estate offers ample indoor, outdoor, cultural and intellectual opportunities for everybody's lifestyle. A recent Time magazine article, ranked Boise #1 for what it called, "getting it right." The criteria for cities to make this list included a thriving economy, a booming cultural scene, quality health care, many residential communities and of course a growing university, (Go Broncos!). 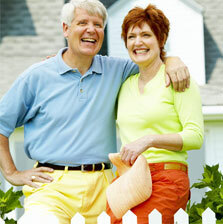 There are also a wide array of homes for sale in Boise to fit all budgets and lifestyles. Downtown Boise becomes an exciting and vibrant playground for the 21 and over crowd in the evening hours. Clubs, wine and martini bars, music and breweries can be found around every corner, all in keeping with Boise's safe and sane sensibilities. Click Here To See All The Homes For Sale In Boise! Kiplinger's August 2014 edition listed Boise real estate on their "10 Smart Places to Retire" list because of its many cultural, academic and athletic opportunities such as the Gene Harris Jazz Festival, the Osher Lifelong Learning Institute and the Idaho Shakespeare Festival. For sports enthusiasts, the offerings are plentiful and include the nationally recognized BSU football and basketball programs as well as the Minor league Boise Hawks baseball and Idaho Steelhead ice hockey teams. Retirees can consider Idaho's tax friendly benefits the "cherry on top" of a perfect retirement destination. Retirees relocating to the Treasure Valley has represented the largest group of people moving to Idaho over the past decade. Click Here To View All 55+ Homes For Sale! Keith Vermilyea brings two decades of financial services experience to his clients and has been a member of the Realtors Circle of Excellence. As Managing Broker of Boise Homes Realty, he has a proven track record of results that ensures positive financial outcomes; thereby maximizing his client’s bottom line by reducing the cost to sell a home. His many years of experience as a professional negotiator, and his tenacious commitment to his clients, ensure win-win conclusions. With well established family ties to the Treasure Valley, Keith offers practical insight into the dynamic Treasure Valley real estate market. Everything You Promised You Delivered! Keith Vermilyea was available and everything he promised he delivered. Keith was thorough and detailed. Great experience, great house, we are very thankful! As design trends continue to progress, your works of art and the frames that enhance them often follow suit. Today’s homeowners seem to be leaning toward pieces that are more personal than your average poster. Anything from a framed vintage swimsuit to a wedding veil provides a one-of-a-kind look that makes a statement. With so much mass production in the home decor category, it’s refreshing to see original works that can’t be copied. This holds true for family photos on canvas that can be framed for a finishing touch without protective glass, or an invitation from a special occasion that’s been preserved in a picture frame. Read on for more ideas of how to preserve and display your favorite items and images. The rains have come and the wind is blowing the fresh smells of a new season across the land…and that means Spring cleaning! Yay. Right? Nobody looks forward to the work part of the process but everything sure is nice when it’s done and you can sit back and breathe in that crisp clean house smell. We’ve put together a few quick but powerful tips to help you get ready for Spring without taking the spring out of your step! Seasons change fast, and if you have central air it won’t be long before you’ll be wanting to turn it on to cool down. It’s a good idea to give the unit outside a good hose down and inspect it for any damage. Go ahead and change those air filters and turn the system on to make sure everything sounds right. Our goal is to provide you with the easiest and comprehensive Boise real estate search possible. With our custom search technologies, you are able to conveniently view every listing on the Boise MLS® in one place. You will also receive access to a number of exclusive features such as customized searches, instant email updates and a variety of other useful real estate tools. 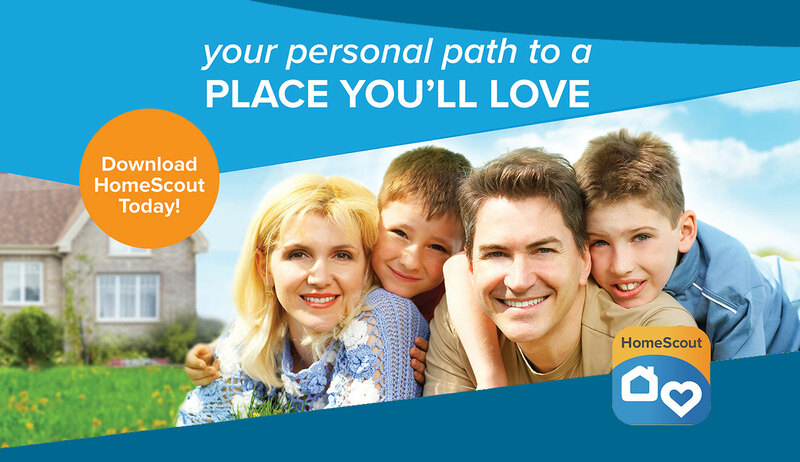 Click the button above and follow the directions for downloading the Home Scouting mobile app to get started!